Getting married in Liguria Italian Riviera and organizing a wedding with Riviera Divina Wedding Planner. 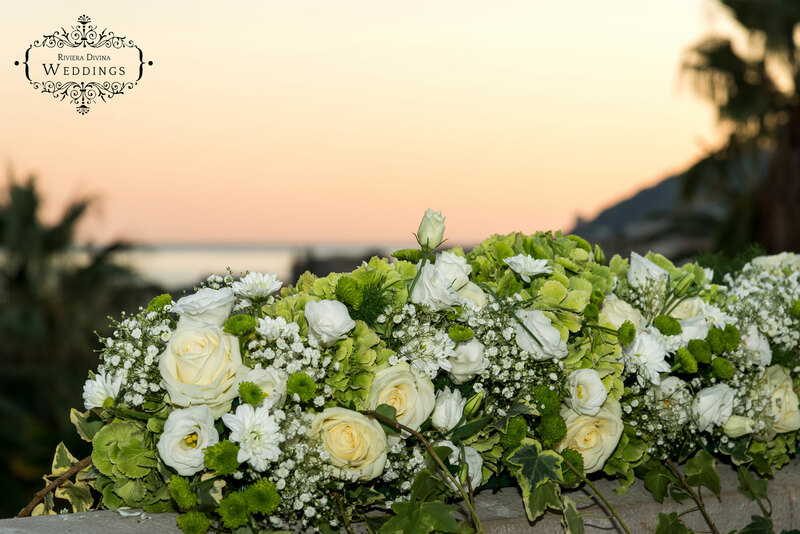 Riviera Divina weddings is a project that has been founded with the purpose to organize weddings in Liguria Italian Riviera through an innovative formula, which can enhance the value of the extraordinary setting that is being offered to get married in the Riviera of Flowers. Our agency is composed by a team of experts that will put their effort to make your greatest day a very special one. With our highly qualified professional collaborators we are able to guarantee the best outcome of your Marriage in Liguria Italian Riviera. A wedding in the Riviera has all the ingredients to become an exceptional event: splendid historical locations, exclusive settings, high quality services, from flower decorations to gastronomy. All the high hosting tradition that has characterized the Riviera of Flowers for over a century will be at your service to give you anything you would like for your wedding day.